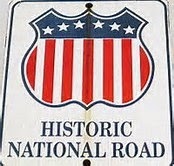 The 824 mile long Historic National Road begins in Cumberland, Maryland and ends in Vandalia, Illinois encompassing the states of Maryland, Pennsylvania, West Virginia, Ohio, Indiana and Illinois. 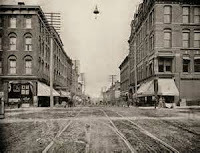 Over time, the road took on several names: Cumberland Road, National Pike, “The Road That Built the Nation,” but in many communities it has simply been called Main Street, eventually earning the appropriate nickname "The Main Street of America." 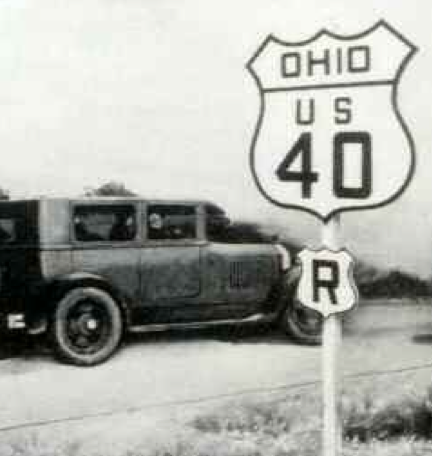 The National Road was the first federally funded road in U.S. history, and in many states is known today as Route 40. The road was built between 1811 and 1834 so that pioneers would have a good trail to follow through the Appalachians in order to reach the western settlements. 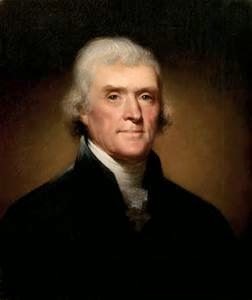 In 1806, President Thomas Jefferson authorized the building of a national byway that would connect Cumberland, Maryland to the Ohio River. 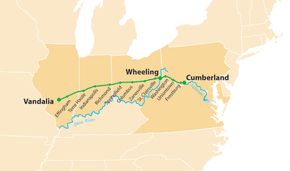 It took five years before the first 10 miles of roadway were built, but by 1818 the road reached to Wheeling, West Virginia. 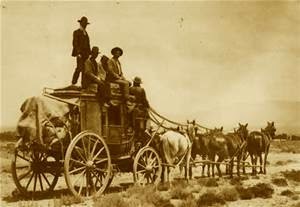 Settlers weren’t the only ones using the road, mail coaches, drovers and stagecoaches found it to be an easy way to connect with the frontier towns out west. 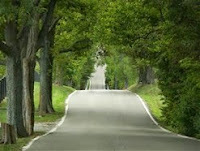 By 1825, the road had become famous and was being lauded in song, stories and legend. Small settlements began to pop up along the route, then communities and small towns were established as many pioneers decided to settle down at some spot along the way. Inns, taverns, and stores selling staples and supplies were built, and these “pike town” began to thrive. Conestoga wagons traveled the National Road loaded with coffee and sugar for "out west," returning with produce and grain grown on the newly settled frontier. Life was prosperous along the National Road for many years - until the 1860s. 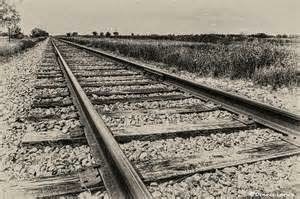 It was during that time that the railroads began to change the way people traveled the country, and enthusiasm for traveling on the National Road began to wane. 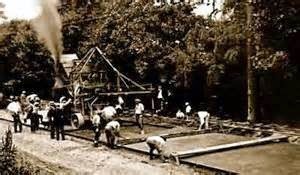 But, in 1885, the first automobile and the first bicycle were invented, and interest in road travel was renewed again. 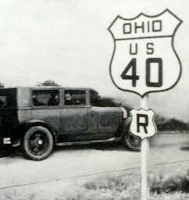 The National Road became US 40 in 1926 when a national road system went into effect, but by the 1960s construction was completed on Interstate 70, and Route 40, with its meandering roadways, was left in the dust. Maryland is home to 170 miles of the National Road, traveling through urban Baltimore and across acres of rolling countryside. 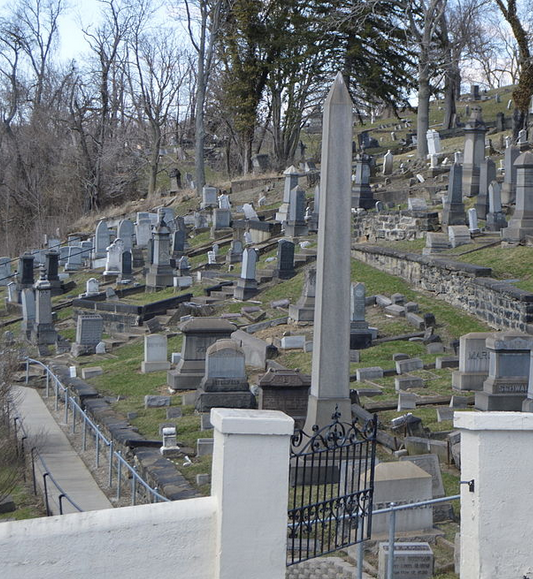 Mount Olivet Cemetery, located in Fredrick, has been called Maryland’s “Cemetery Beautiful” and is home to the burial monument for Francis Scott Key, author of the Star Spangled Banner. 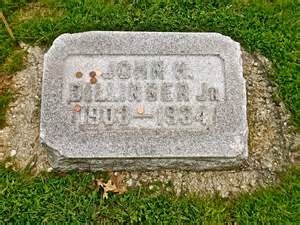 The Keystone State offers two great stops for tombstone tourists as soon as you cross the state line. 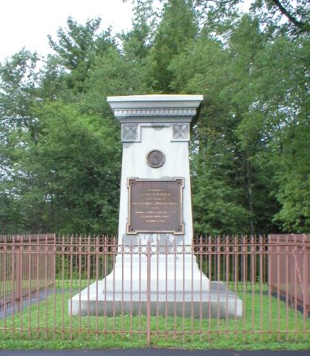 Fort Necessity near Farmington is the site where the opening battle of the French and Indian War was fought. Check out the interpretive center here and get a feel for what life was like in the 18th century. Then it’s on to Braddock’s grave, a lone monument placed at the site of his demise "In remembrance of Major General Edward Braddock", who led the campaign to oust the French from American soil. 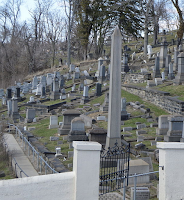 Overlooking the Ohio River is Mount Wood Cemetery, a Hebrew and Jewish Orthodox cemetery in Wheeling. 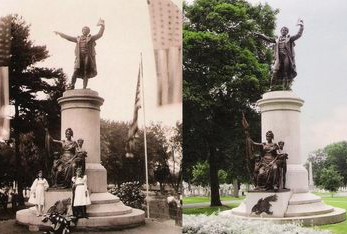 Funerary art abounds on this rolling hill, from stones and monuments of the Victorian-era, to those more modern mid-twentieth century markers. 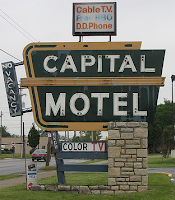 The Buckeye State has numerous stops along the old National Road; for cemetery buffs, take time to visit Columbus, the state's capital, and tour the Old Governor’s Mansion and the Ohio Statehouse before heading to an old neighborhood known as “The Hilltop” for a poignant visit to Camp Chase Confederate Cemetery. The Hoosier State boasts a beautiful lawn-style cemetery on this route: Crown Hill Cemetery, in Indianapolis, is a “Who’s Who” of famous and infamous residents: Indiana governors, senators, congressmen, and military officers are buried here along with U.S. President Benjamin Harrison, poet James Whitcomb Riley, and notorious bank robber, John Dillinger. 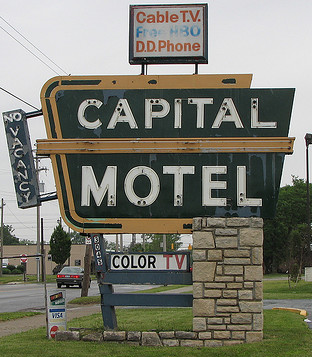 The Land of Lincoln is the ending point of the National Road. 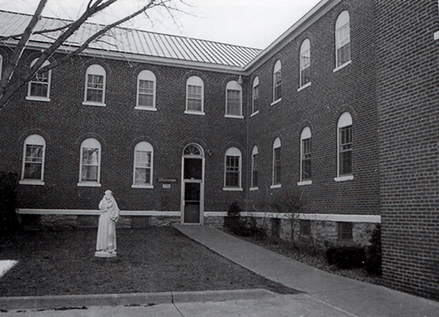 Visit the Franciscan Monastery Museum in Teutopolis, the only one of its kind in the Midwest, and roam through over 30 rooms of artifacts relating to the Franciscans and early Illinois pioneers. St. Francis of Assisi Parish is home to the cemetery and mausoleum where the first Franciscan pastor is buried.